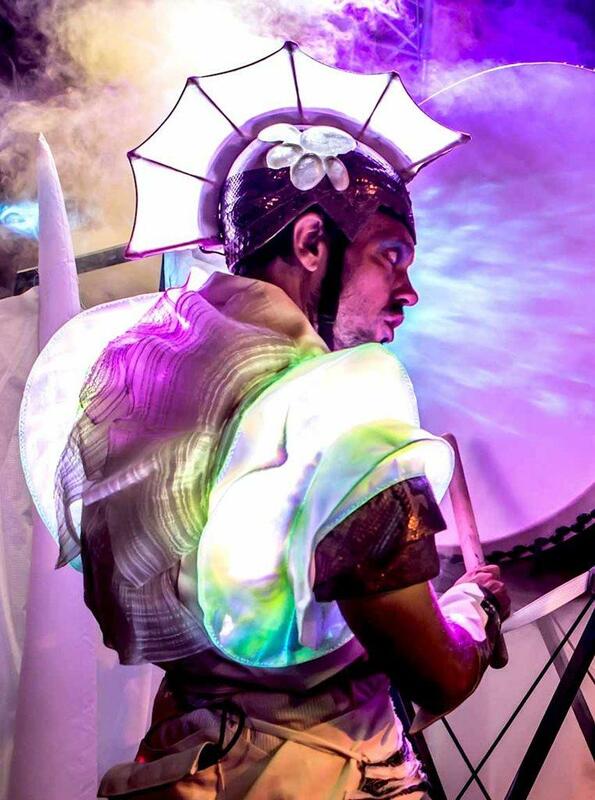 Dive into the Abyss, a fascinating world lost into the depth far beyond our reach. 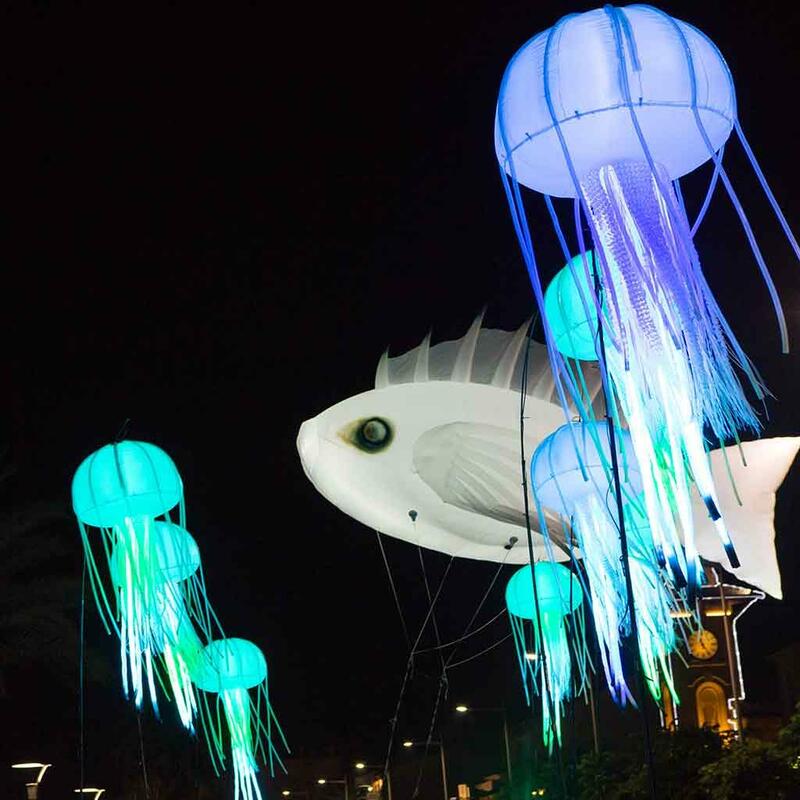 Completely overwhelming, it’s the biggest habitat on our planet, sheltering a dark but bright marine life. 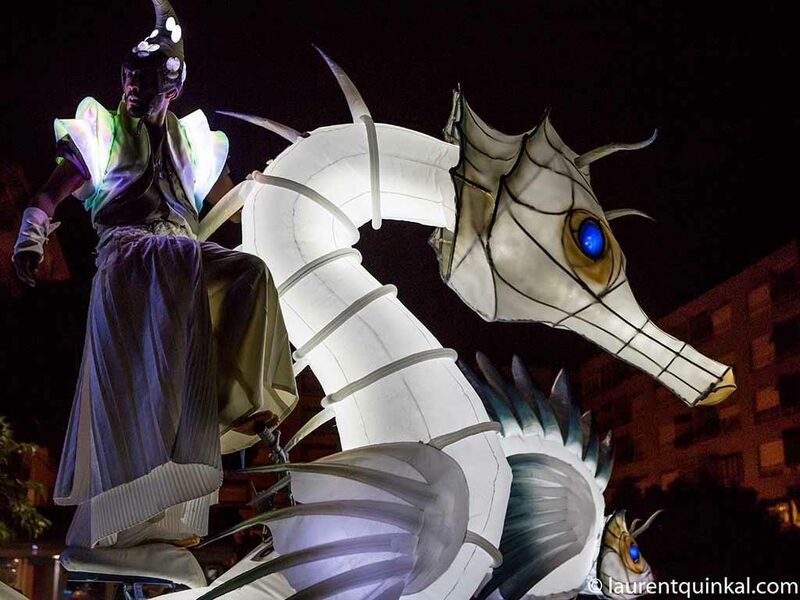 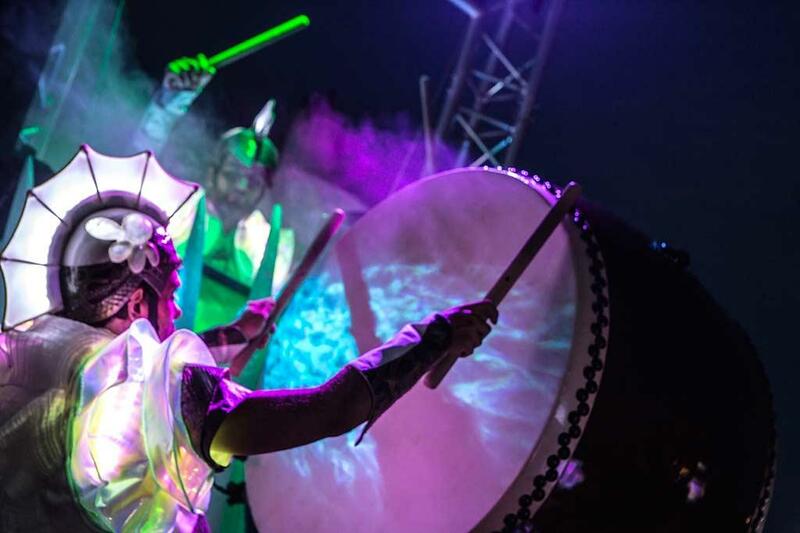 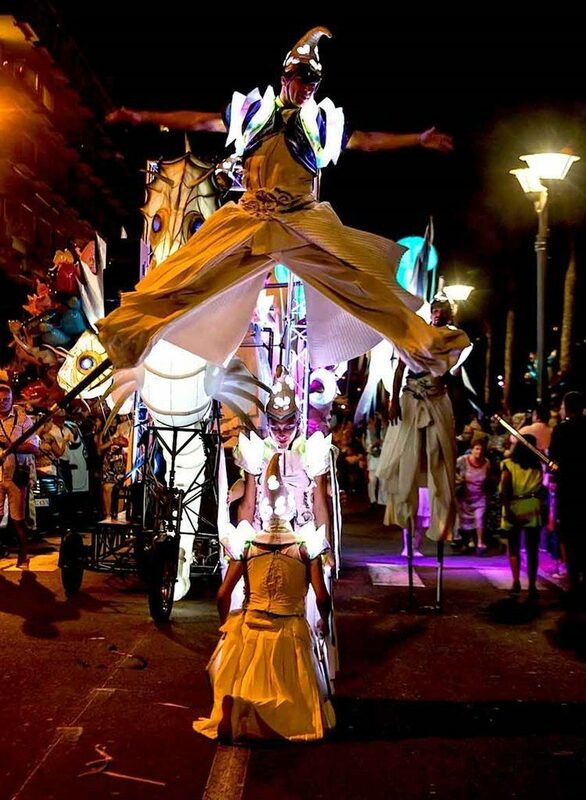 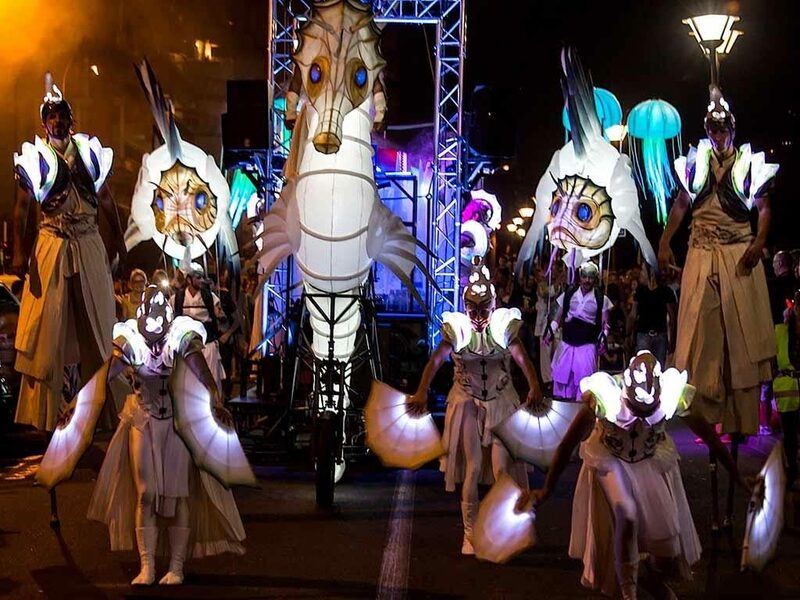 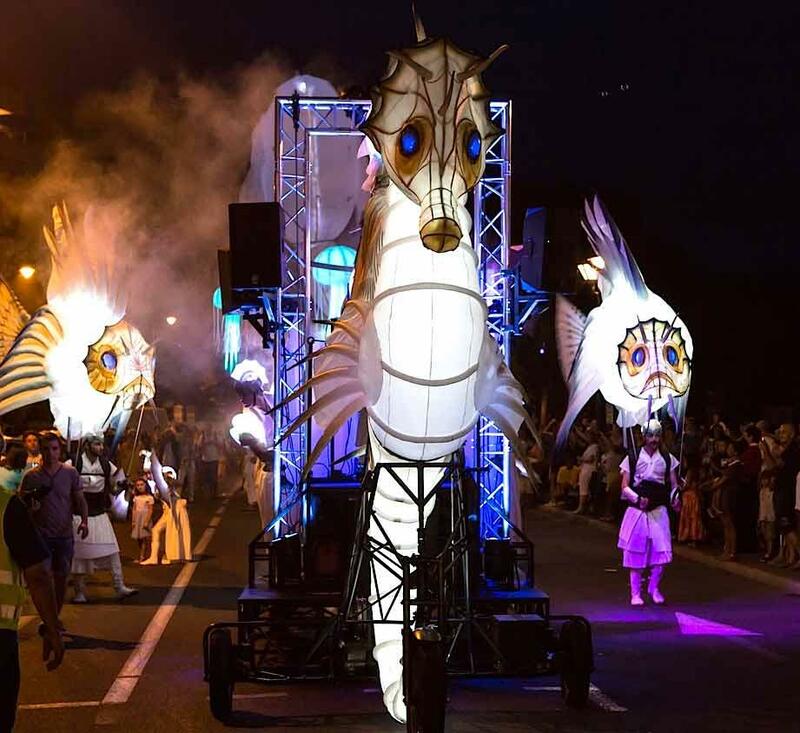 Abyss is an illuminated street parade and they are available to hire for corporate parties, balls, product launch parties, film premieres, anniversaries and weddings. 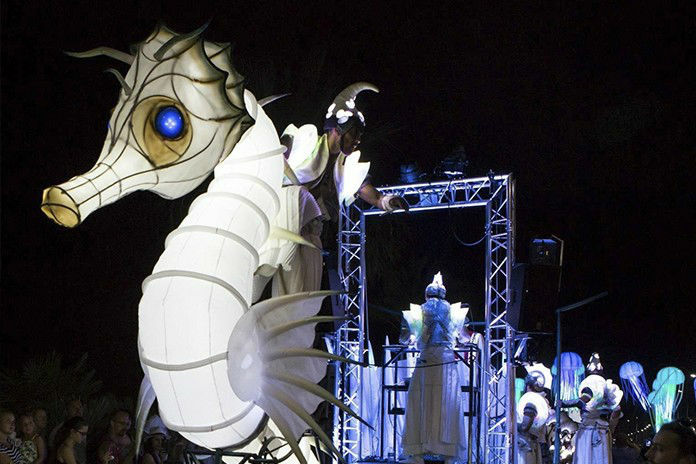 Whatever the event may be, Abyss will leave your guests amazed with their dazzling costumes and foot-tapping music. 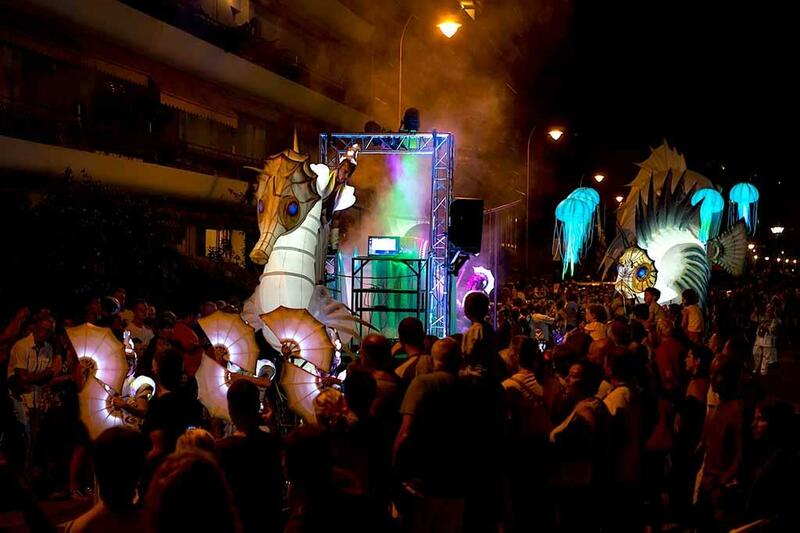 An impressive light parade moves through the night, carried by the rhythms of the Taikos and by electro sounds. 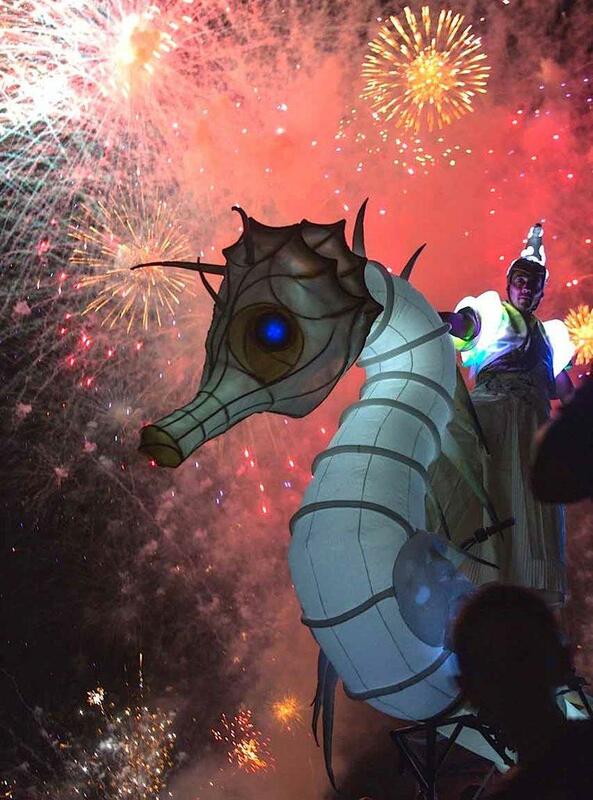 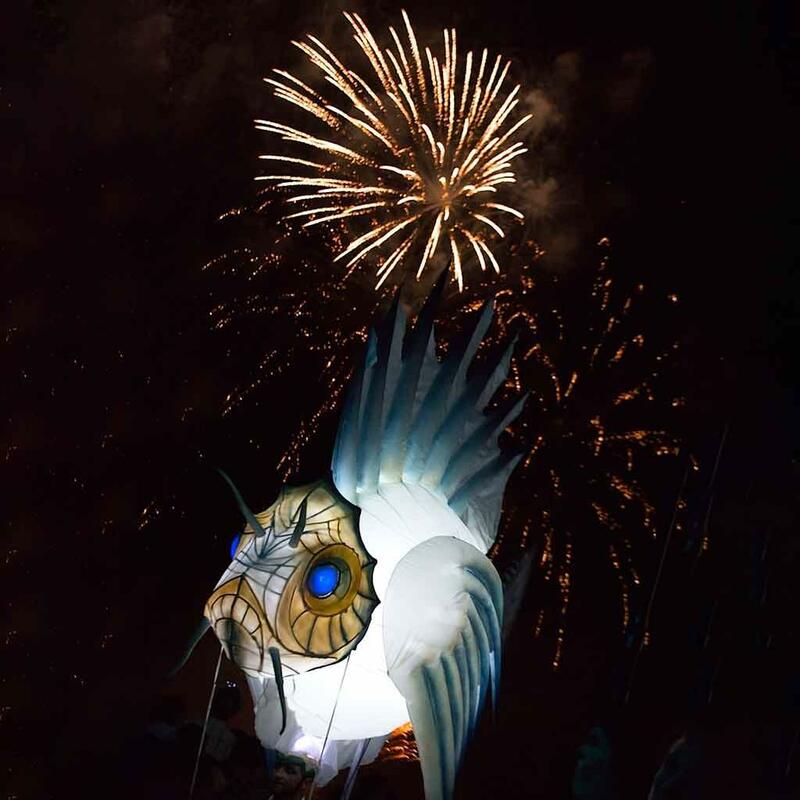 Accompanied by some Sea Devils on stilts, a jellyfish Milky Way, sparkling stars and a majestic seahorse gather together, proudly leading the Oceanis float. 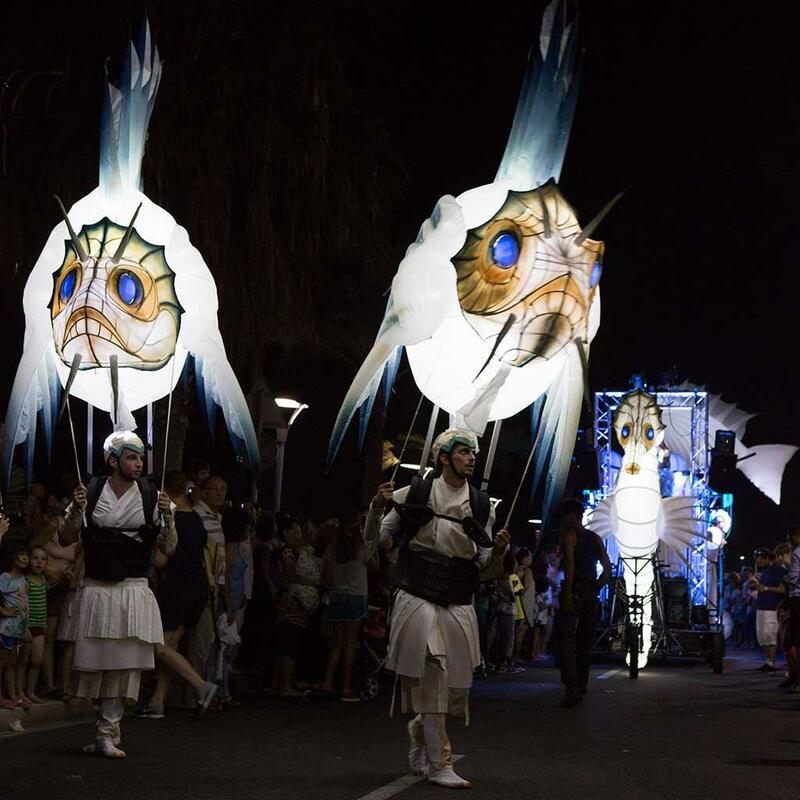 Comet-like fishes handled by bold puppeteers complete this patchwork. 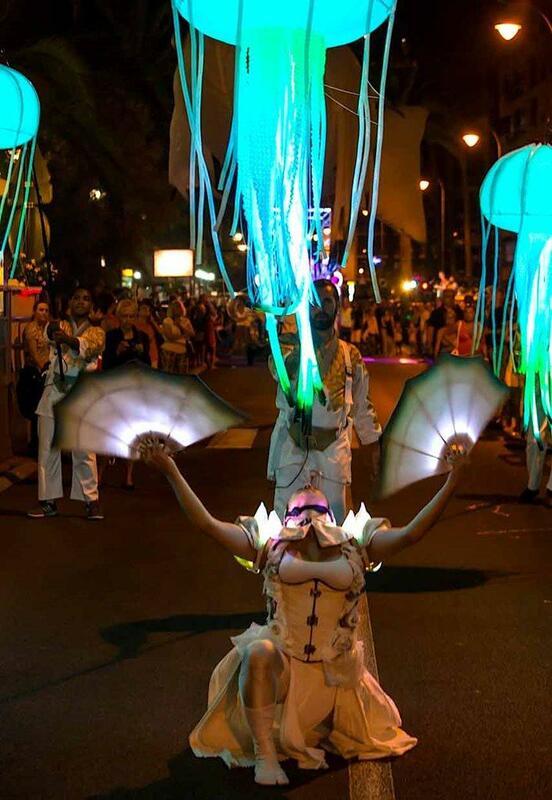 This marine constellation flows like a moving wave through the streets. 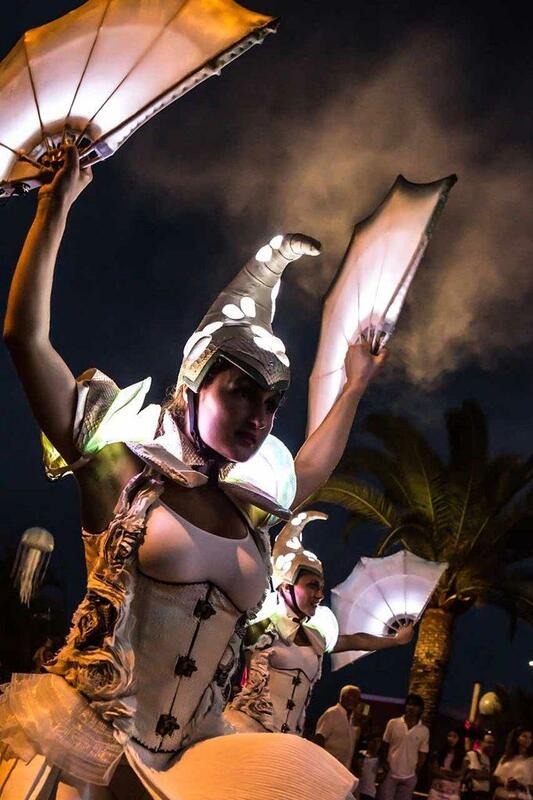 A light painting where the sky and the sea are coming upside down. This performance is fascinating.